Whether you want pear chutney grown by local farmers on your sandwich, or an artery-clogging ball of meat and grease for less than a buck, there’s a regional burger chain for you somewhere in America. While the big three hamburger giants — McDonald’s, Burger King and Wendy’s — still command more than two-thirds of the market in the U.S., the fast food burger landscape has been changing at a breakneck pace. Five Guys, introduced to the nation last year during a visit by President Barack Obama, has gone from a six-restaurant Virginia-based chain in the early 2000s to a national force with more than 600 restaurants in 48 states in 2010. Colorado-based Smashburger, which didn’t exist before 2007, now has 77 locations in 17 states. Many of the fastest-growing restaurants are so-called “better burger” or “fast casual” restaurants, setting themselves apart with fresher ingredients and menus that are tailored for the communities they serve. The chains seem to fit the communities that spawn them. They range from old war horses like Tastee-Freez in the Midwest and South (where the menu is pretty much unchanged from when Jack and Diane ate there in the 1982 John Cougar song) to the progressive Oregon-based Burgerville, whose owners use wind power to keep the lights on. The Fast Food Nation is becoming McBalkanized. Below are 15 of the most prominent burger chains in the U.S., chosen based on size, recent growth and contributions to the industry. But former Washington Redskins kicker Mark Moseley arguably had more to do with Five Guys’ success than the Obamas — he’s the director of franchise development, and has helped the chain expand to 620 outlets in 48 states. 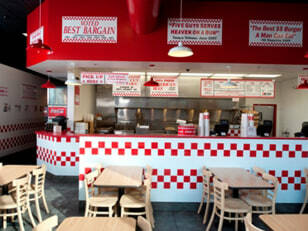 Five Guys, which doesn’t freeze its meat, lures its customers with quality and quantity, not price. The cheapest item on the menu we looked at was the Little Hamburger at $3.29 (anything with just one patty is called “little”). The regular bacon cheeseburger was $5.59. Another Five Guys staple since the first one opened in 1986: shelled peanuts near the cash registers. "We have a very simple, quality-driven menu and don't try to be a lot of things to a lot of people,” says CEO Jerry Murrell. 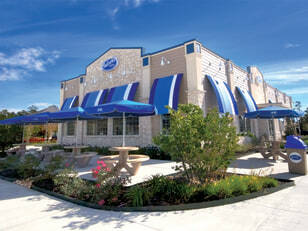 “It can be tough to convince franchisees to stick with the formula." No regional burger chain has grown so fast in so little time as Smashburger, averaging a new restaurant opening about every two weeks since the first one began business in Denver in June 2007. The burgers use fresh meat and are distinctive for their amoeba-like shapes, created when cooks “smash” balls of the fresh meat on the grill. 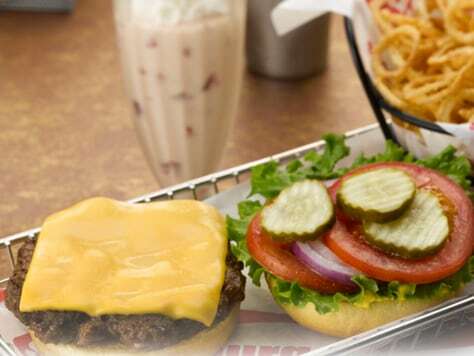 Smashburger features regional burgers; the “Lonestar Burger” near Dallas is served with chili, onions, jalapenos and a knife and fork, while the “NorCal Smashburger” features brie and balsamic vinegar-marinated tomatoes. Burger prices range from $3.99 to $6.99. Smashburger’s high-energy founder Tom Ryan loves social media, insisting that each restaurant in the chain have its own Twitter account. If John Muir ever decided to start a chain of burger joints, this is what they would have looked like. CEO Jeff Harvey says 70 percent of Burgerville ingredients come from local farmers and ranchers, and the company converts its trans fat-free cooking oil into biodiesel. Founded in 1961, Burgerville has 39 locations, most in Oregon with a few in Washington state. 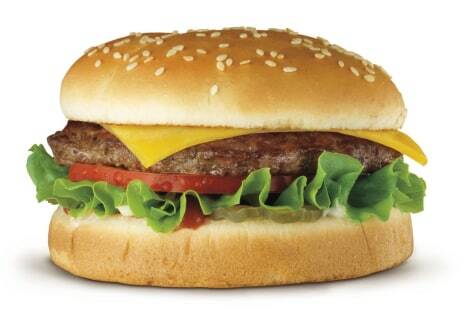 The cheapest hamburger is $1.29 while the Half-Pound Colossal Cheeseburger tops the price range at $5.29. Burgerville offers straight-forward high-end burger fare, with some interesting seasonal offerings — such as fresh hazelnut or pumpkin in the milkshakes. The chicken sandwiches currently feature pear chutney — try finding that at White Castle. The Burgerville home page shows a picture of a wind farm, and Burgerville executives say their restaurants and company headquarters are powered entirely by wind power credits. Ice Cube may have immortalized Fatburger in rap in the early 1990s (“No helicopter looking for a murder / Two in the morning got the Fatburger”), but the chain founded by Lovie Yancey in 1952 had already developed a strong following in Southern California. Fatburger has more than 75 restaurants in the U.S., with almost half in California. 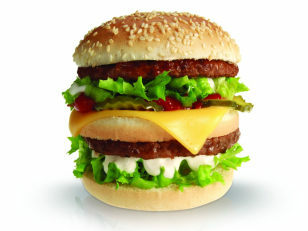 More than most other regional chains, it has expanded overseas, with franchises in Saudi Arabia, Kuwait and Indonesia. The small burger, or “Baby Fat,” starts at $2.99, while at least one location sells the 24 oz XXXL for $9.49 — which looks like it could feed a family of five, or a small hippopotamus. Decades after both Ice Cube and the Beastie Boys name-dropped Fatburger, the celebrity connection remains strong. Among the famous people who have owned part of Fatburger or its restaurants: Magic Johnson and Montel Williams. This low-cost burger with fresh ingredients has developed a cult-like following in Los Angeles, where it originated. For years, the chain’s T-shirts were uniform in Southern California college campuses (Jon Favreau can be seen wearing one in “Swingers”) while fans tried to crack the restaurant’s complicated secret menu — ordering “animal style” will get you pickles and grilled onions. 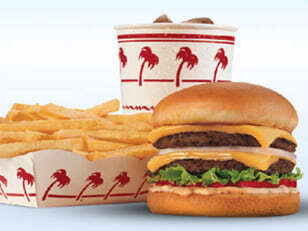 How heavily worshipped is In-N-Out? The chain has 248 locations and 528,000 Facebook followers — 150,000 more than the 25-times larger Wendy’s. After staying in Southern California for most of its 62-year history, In-N-Out has crept up the coast north of San Francisco, settled in Arizona, Nevada and New Mexico and has more expansion plans. While the menu has only a handful of items, the prices are among the lowest of the regional chains — a hamburger is $1.60 and the double-double at $2.75 is still the most expensive thing on the menu. Says In-N-Out Burger President Mark Taylor: "We've always tried to keep our prices low as possible in order to give our customers the greatest value." 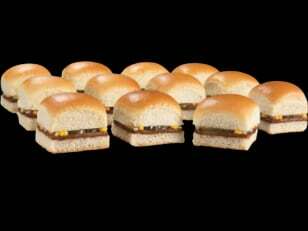 With its first restaurant opening in Chattanooga, Tenn. in 1932, Krystal and its square-bunned burgers are nearly eight years older than McDonald’s. But it never moved out of the South, with more than 380 locations in 12 states, nothing north of Virginia. Price is a draw — a four-burger combo meal ($4.69) costs a lot less than several single items on the Four Guys menu — and so is convenience. Many Krystal locations are open 24 hours. The chain is known for the Krystal Square Off — the hamburger equivalent of the Nathan’s Hot Dog-eating contest. (Kobayashi defeated Joey Chestnut in last September’s Square-Off, 91 hamburgers to 83.) And the company promotes its Hall of Fame, putting the faces of its most loyal customers and employees on hamburger boxes. President and CEO James F. Exum explains: "Our Krystal Lovers are the stars of our brand, and each year we're thrilled to recognize our most passionate guests by inducting them into the Krystal Lovers Hall of Fame and featuring them on the packaging of our most famous menu item, the Krystal hamburger." Even if you’ve eaten a few dozen burgers at Los Angeles-based Original Tommy’s, chances are good you’ve never seen one. The burgers — and pretty much everything else on the menu — are smothered in chili. The food that Tommy’s serves may look like a crime scene, but the retro-cool burger joint has a loyal following. Tommy’s doesn’t advertise, and despite being around since 1946 and occupying 33 locations mostly in the less touristy parts of Southern California, we couldn’t find a single press release or trace of a publicist. With low overhead (no one would mistake Tommy’s for a high-end chain) the restaurants keep the prices down, charging $1.85 for a single hamburger and $4.35 for a triple cheeseburger. Tommy’s purists make pilgrimages to the original location at the corner of Beverly and Rampart boulevards, where day laborers and Hollywood executive types enjoy their chili burgers shoulder-to-shoulder on communal outdoor tables. 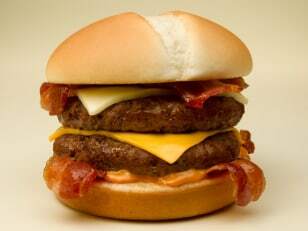 Culver’s, a Wisconsin-based better burger chain with more than 400 locations in 18 states, sells the ButterBurger, and constantly pushes the envelopes of culinary decency, making things like the current Triple Pepper Dare Ya — which puts jalapeno peppers, chipotle mayonnaise and habanero cheese on a single burger. Culver’s is priced on the low side for gourmet burgers (under $2 for a basic hamburger, up to $5 for a triple bacon cheeseburger) and sells an equally decadent array of frozen custards and sundaes. 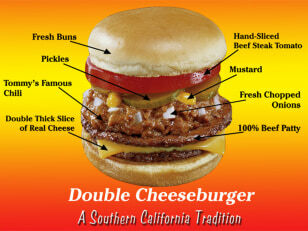 Fosters claims to be the first fast food chain in California, and it continues to push its retro appeal. The mascot, an anthropomorphic soft serve ice cream cone in a chef’s hat, would be comfortable in a “Leave it to Beaver” episode. There are 90 locations, all in California, with heavy concentrations in agricultural towns and other inland outposts. Clovis and Bakersfield each have two Fosters Freezes. Fresno has five. Want a little more culture? There’s a Fosters Freeze across the street from the Stanford campus in Palo Alto. The menu is as unexciting as any burger chain, but the portions are decent, even on the kiddie menu. A child-size burger costs $1.99. Along with the famous line from John Cougar’s “Jack and Diane” (Sucking on a chili dog, outside the Tastee-Free-eez!”), everyone from Chicago to Trisha Yearwood to Rascal Flatts has paid tribute to the company in song. The Tastee-Freez founders built the company’s first soft serve ice cream maker, and while the technology has changed, general manager Tim Mulks says the formula is almost exactly the same in 2010. 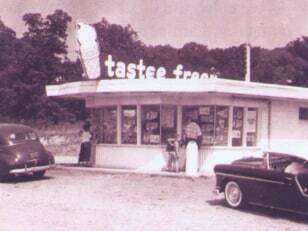 The Tastee-Freez web site lists just 50 locations in 19 states, but the company’s soft serve ice cream can be bought in hundreds of Weinerschnitzel locations across the country. Endorsed in song by the Beastie Boys and craved by the movie characters Harold and Kumar, White Castle has a lot of friends in high places. While the New York locations may be the most celebrated, the great majority of White Castle’s 421 restaurants are in the Midwest. There are 45 in the greater Cincinnati area alone. 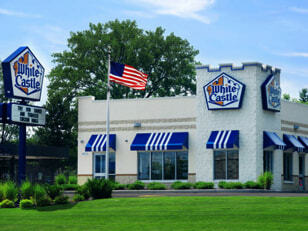 White Castle has some of the best promotions in the fast food world for its loyal following. This year the company offered thousands of slider-scented candles, which quickly sold out. Unknown to most of the nation, Arctic Circle lays claims to such fast food innovations as the chocolate-dipped ice cream cone and the kids meal. Founded in 1950, the chain expanded rapidly in the 1980s and 90s, and now has 73 restaurants — all but 13 in Utah and Idaho. Prices are on the bargain end, with $1.15 for a hamburger and $3.69 for a half pound deluxe. Arctic Circle’s menu is a paradox. Its Angus beef burgers look like mountainous piles of meat, cheese and ranch dressing, and yet it offers impressive salads and fresh fruit in its shakes. The Arctic Circle signature is its fry sauce, invented by company founder Don Carlos Edwards, which the restaurants sell by the bottle. 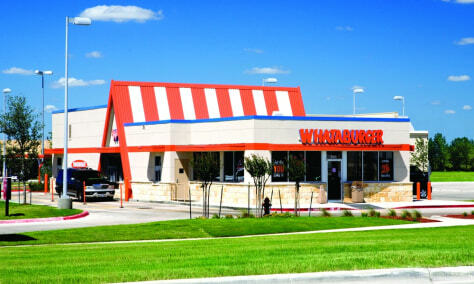 Distinctive for its orange flying “W” signs — which look like a cross between a Winnebago logo and Wonder Woman’s chest plate — Texas-based Whataburger has been a popular fixture in the lower third of the United States for six decades, with more than 700 restaurants in 10 states from Arizona to Florida. Whataburger celebrates its 60th anniversary this weekend, but maintains its Texas roots, offering even larger piles of American beef and cheese than the competition. 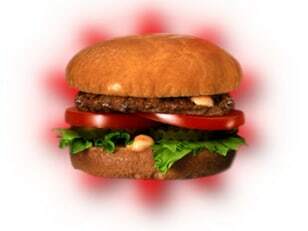 (The burger formula, down to the exactly three tomato slices, is virtually unchanged.) Most locations are open 24 hours a day, so you can start your food coma early with newer menu items such as the Honey Butter Chicken Biscuit. Chairman and CEO Thomas Dobson says when his father opened his first Whataburger in 1950, he had to find a bakery that would make special 5-inch buns that were bigger than the competition. Good Times out of Boulder, Colo., was one of the first gourmet burger chains to embrace rapid expansion, becoming a publicly traded company just five years after it was founded in 1987. The chain is mostly centered in Colorado — with 45 locations there, plus a few in Wyoming, Idaho and North Dakota. Good Times has announced plans to expand to the Midwest. Blake’s has been fighting the good fight for burger dominance in New Mexico for more than 50 years, and is arguably winning — there are 34 Lotaburgers in the greater Arbuquerque area and just 33 McDonald’s. Blake’s Lotaburger takes credit for introducing the green chile to the hamburger. The menu has a heavy Southwestern kick, with bean burritos as a breakfast option. The prices range from $1.59 for a kiddie burger to $4.06 for a Lota Burger with chiles and cheese. All of Lotaburger’s 77 locations are in the state, and Blake’s has its own construction division that builds new restaurants. Blake’s is the preferred burger of the meth-cooking lead characters on the AMC series “Breaking Bad” and the late Jim Varney, who reprised his “Ernest” character for New Mexico-based Lotaburger commercials in the years before his 2000 death.